Camp Labels That Stay Stuck! 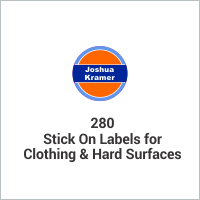 Use our super sticky, waterproof, laundry-safe camp labels on their clothing, gear, swim items, toiletries, backpacks and more. Make sure everything they take to camp, comes home. 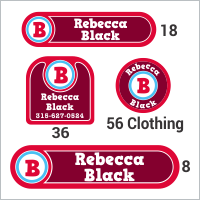 Easy to create great looking camp labels with our design center. 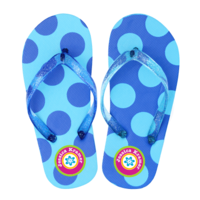 *RECOMMENDED BY MOMS AND CAMPS ACROSS THE USA and CANADA! Here's what one of our moms said about our camp labels! 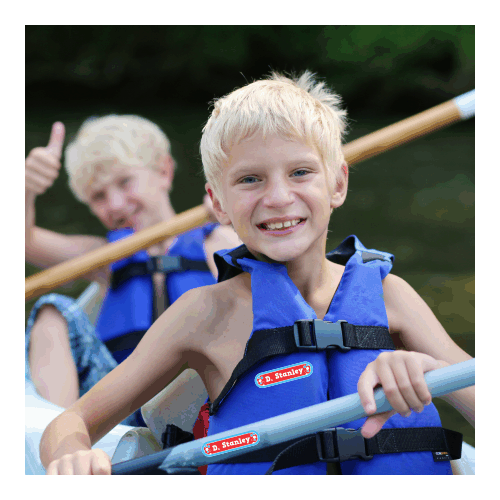 Choose from our most popular camp labels below! Camp Labels for Everything That Make the Trip This Summer! 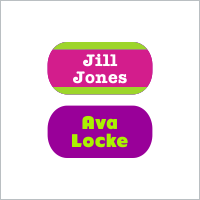 Use our waterproof camp name tags on everything from clothing to toiletries, personal items to backpacks. 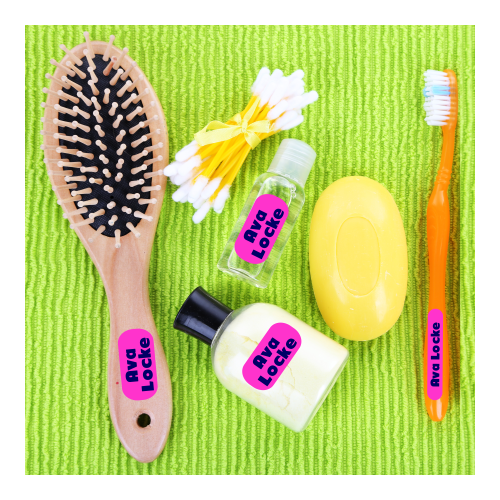 Apply our peel & stick camp name labels & camp labels for kids to garment care tags, size tags & brand stamps. 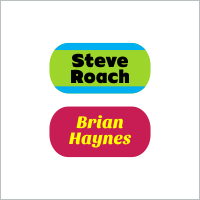 Try iron on camp labels! 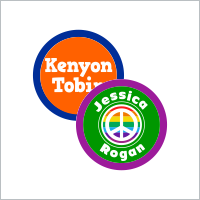 Our clothing iron on labels are a permanent solution on tagless clothing. 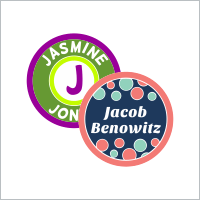 IdentaMe Labels will make your life easier and eliminate some of the stress that comes with sending your kids off to camp with these stick on & iron on labels for clothing & more. From sports camps to camps in the woods and music camp, our clothing labels for camp aren't just for clothes, they can tag anything that's sent away! 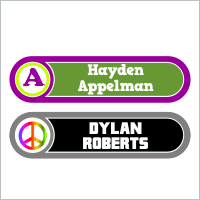 We have three sizes of Clothing Labels for kids to help you get their clothing items ready for camp. 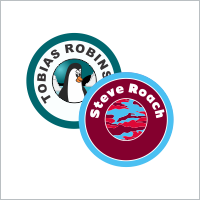 Our stick on camp name labels for kids are waterproof, weatherproof, laminated and wicked sticky so they'll stick like crazy and take a beating. 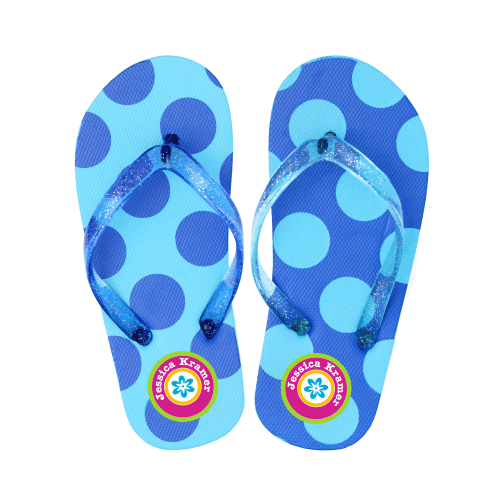 They're great for toiletries, footwear, electronics, sports equipment, flashlights, sleeping bags, backpacks...the list is endless. 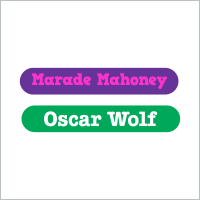 We have two different types of labels for camp clothing for you to choose from to label camp clothing. 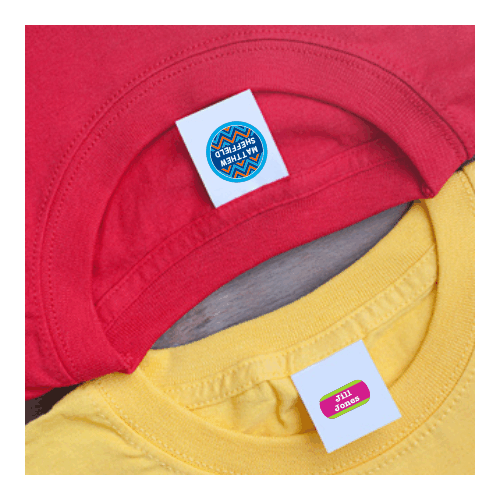 Our stick on clothes labels are great for items that have a garment care tag, size tag or brand stamp that they can be stuck to. 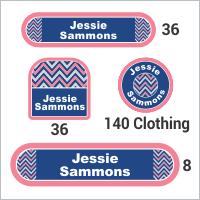 For tagless items like t-shirts, socks and underwear, our permanent iron on fabric labels are a great choice. 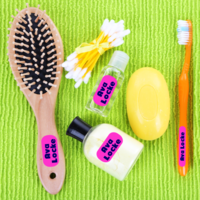 Ensure that your kid's things stay labeled and stop worrying about lost belongings with our camp labels for clothing and gear! 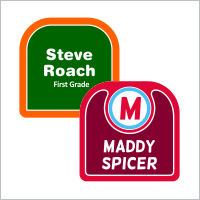 Your kids will love how their summer camp clothing labels look, and you'll love that the summer camp clothing labels will keep them organized. 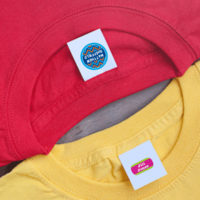 No more mix ups or ugly, faded marker with our iron on camp labels for clothing! 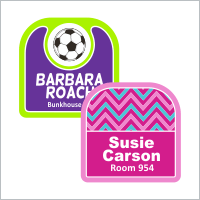 Using our camp labels will make it easy for your child to find their things, and is the best way to make sure you get your gear home when camp is over. We guarantee you'll love our camp labels or your money back...period! 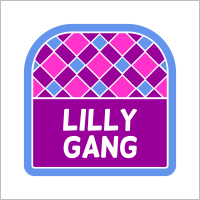 Design your own summer camp clothing labels today! 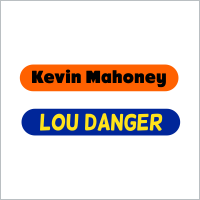 Have your kids help you create labels that they'll love. 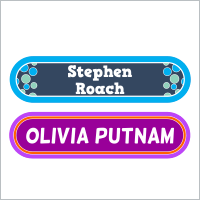 It's fun and easy to create unique, personalized stick on & iron on camp labels at IdentaMe Labels. Contact us if you have any questions about our clothing labels for kids at (315) 627-0524! 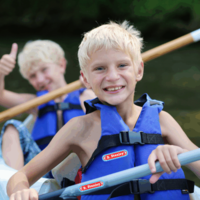 Read about our Camping Packing Tips here for more preparation ideas.